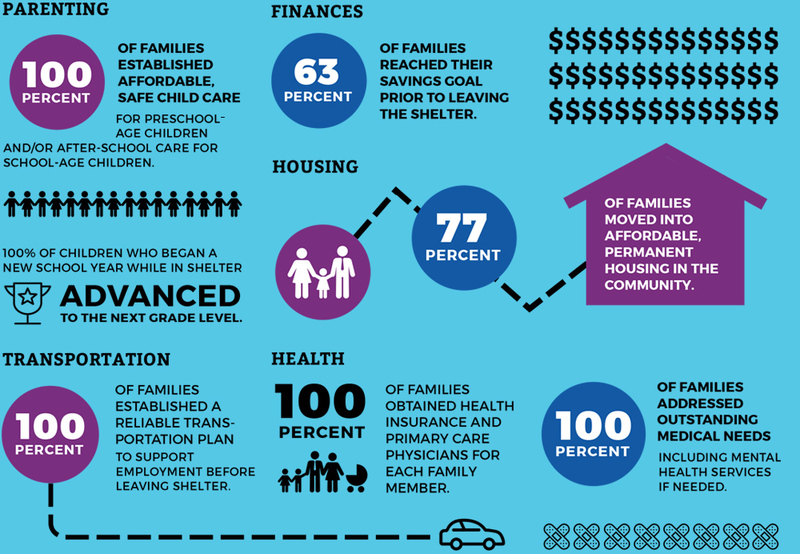 When Family Promise Metrowest first welcomed families in 2008, the goal was to provide safe shelter and support to families experiencing homelessness. Our vision was also to build an interfaith community of congregations committed to addressing the issue of family homelessness, knowing we all had to assume responsibility in order to create real change. To meet some of the families and volunteers who have been impacted by Family Promise, we encourage you to read about Our Families and Why I Volunteer. For an overview of our success, the numbers clearly speak for themselves. Since our founding in 2008, we have provided shelter and support for 106 families, 150 adults and 197 kids. Our success is clearly measured by the hard work our families put into reaching their individual goals. While we are proud of our families and all they have accomplished, we are also grateful to our community of support, knowing we have all played a role in reaching success together. Our network of congregations has grown from 13 host congregations and 8 support congregations in 2008 to 19 host congregations and 31 support congregations today, with representation from the Christian, Muslim, and Jewish faiths.